Filters have been a stable part of a photographer’s kit bag for years, but the emergence of Photoshop, with its powerful tools and controls has made many traditional photographic filters redundant. There’s now no need to carry a selection of warm-up or cooling filters, as the image can be easily enhanced to mimic their effect in the final shot. It’s the same story for long-established mono filters – coloured red, orange, yellow, green and blue filter effects can be imitated with ease using simple sliders in Photoshop to achieve different black and white results. However, there are still a core group of filters that every photographer should have in their photographic arsenal. These filters, and the way they alter and affect the captured image, are impossible to reproduce once the file is in Photoshop. Over the next few pages we’ll show you the essential filters that you need in your camera kit, allowing you to have complete control over your images. When looking to invest in filters, one key choice you have to make is whether you opt for a threaded or square filter system. Threaded filters screw neatly onto the front of your lens, so they’re size specific – if you want to check the size of your lens, it’s either marked round the front element or on the inside of the lens cap. This does mean that if you’ve got more than one lens, you may have to duplicate your collection of filters, as more often than not, different lenses will have different diameters. The cost of the filter also increases as the diameter increases due to the larger surface area needed, so a 77mm filter with the same filtration as a 52mm filter can cost almost double the price in some cases. With a range of manufacturers, including B+W, Hoya, Tiffen, Sigma and Kood, there’s plenty of variety, with options to suit most budgets. A more economical solution is to invest in square filters. These filters slot into a universal filter holder (though this will very from manufacturer to manufacturer), from which various different sized adapter rings can be attached, allowing them to be used on a range of different lenses. While you may have to invest in a couple of inexpensive adapters, it’s much more cost effective than buying duplicate filters. 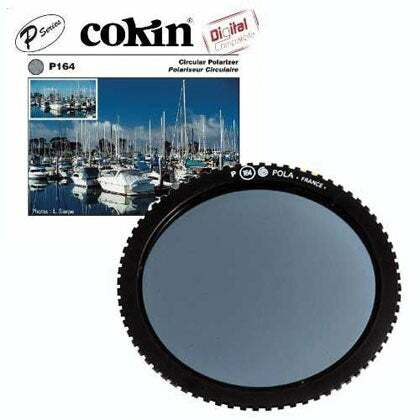 Along with an adapter ring (a 52 or 58mm adapter ring will set you back about £13), the Cokin P Series filter holder is a very affordable way into the world of filters. The LEE Filter system isn’t cheap – you’ll need an additional adapter ring that’ll set you back around £19 for either a 52 or 58mm attachment, but it’s a well-made piece of kit and LEE Filters have an enviable reputation for quality. UV filters absorb some of the ultraviolet rays in outdoor shots, reducing hazy, while Skylight 1B filters reduce the bluish cast that can sometimes occur in an outdoor photo. While the image benefits are minimal, it’s the physical protection that they can offer your lens that’s the real deal-breaker. While you may do your best to protect the front element of your lens from scratches and water droplets, accidents do happen, and repairing or replacing a front lens element can be an expensive job. 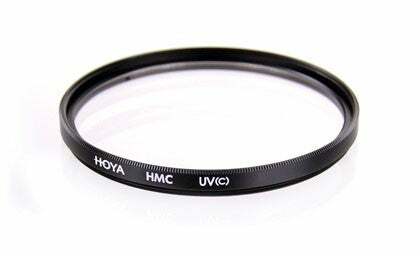 By placing a threaded UV or Skylight 1B filter on the front of your lens, you’re reducing that risk massively, and should you mark it, while it’s unfortunate, you’ve only got to shell out for the cost of a replacement filter, and not a heft repair bill for your lens. That’s why, once a UV or Skylight 1B is screwed onto the front of the lens, it pretty much stays on there constantly. £16 is a small price to pay for the protection offered by this filter, while you’ll also limit those UV rays that can cause a hazy in your images. Get one for your lens now! A Polarising filter is a very clever piece of kit, affecting the image in a couple of ways that is impossible to replicate in Photoshop. Without getting too bogged down in the science of how a Polarising filter works, in essence, light is transmitted in waveform, with these waves traveling in all directions at different rates and sizes. What a Polarising filter does is limit which waves enter the camera. In the real world, this means that reflections on non-metallic surfaces, such as water and glass, are dramatically reduced, allowing you to record detail under the water or through a window. 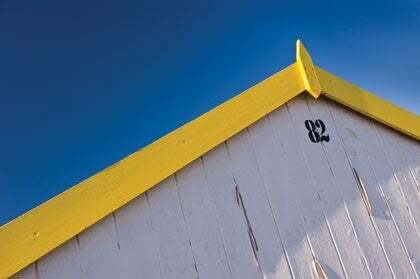 It can also boost colour saturation, allowing you to achieve really punchy blue skies with it, though the intensity of this varies continuously depending on the angle you’re shooting to the sun. Facing away with the sun behind you and results with be minimal if nothing at all, while shooting at an angle of 90 to the sun produces the most pronounced results – if you’ve ever worn Polarising sunglasses, it’s a similar experience. The intensity of the effect can be controlled too, with the polariser rotated in the filter mount, and the beauty is that you can see in real-time effect of the polarising filter in the viewfinder as you turn the filter. Because you’re reducing the light waves hitting the sensor, there’s a filter factor that can vary from 2-3 stops, depending on the intensity you’ve set the filter at. This can mean shooting at 1/30th sec rather than 1/250th sec without a filter, though if you’re shooting in the bright sun, this shouldn’t be too much of a problem. If you’re using a polarising filter, it’s best avoided using it on a focal length any wider than 35mm (or around 23mm on an DSLR with an APS-C sized sensor). This is because the intensity of the polarisation will vary the further away from the sun you are, and with a wide-angle lens fit more into the frame, you risk the sky being unevenly polarised. This can result in a noticeable lighting in parts of the sky that can ruin your shot. As well as having the choice of either threaded or square polarisers, there’s also the sub-option of opting for either a circular or linear configuration. While linear polarisers are more cost effective, circular polarisers are required for a DSLR. This is due to the way linear polarisers distribute light, which will effect your cameras through-the-lens metering system and AF, which is resolved with a circular structure. Fitting directly into Cokin’s P-series filter holder, allowing you to rotate it in the holder to achieve the desired look you’re after. If you demand the best optical quality, this ultra-thin high-quality polariser from B+W will deliver the goods, delivering excellent sharpness and neutrality. The most striking scenes often have extremes in lighting, with the sky being much brighter than the foreground. While the human eye can process this information, camera sensors don’t have that same dynamic range. Depending where you take a meter reading for the scene, this either results in well-exposed foregrounds at the expense of the sky, which has been completely washed out, or skies that have plenty of detail and colour, but the foreground has been underexposed and is now too dark. While you can shoot two separate exposures of the same seen on a tripod, it’s much easier (and satisfying) to get the shot right first time, and that’s where Neutral Density Graduated filters come in. Often referred to as ND Grads, these filters are a great way to balance the exposure of a landscape. By having part of the filter grey in appearance, graduating to transparent, it’s possible to reduce the amount of light entering the camera for a specific part of the scene – ideally suited to control the difference in exposure between the sky and the foreground. The other benefit of using an ND grad is that it doesn’t leave a colour cast for the section of the image, solely balancing the exposure of your image. ND Grads are more suited to the square filter type than the threaded option, simply because you’ve got more control of where you position the line of the graduation, which is dependent on the scene. This is why many ND Grads are not square at all, but rectangular, allowing you plenty of flexibility on where you position the filter in the filter holder. While there are some threaded options out there, they’re few and far between, with the graduation running through the centre of the field-of-view, though it can be angled. 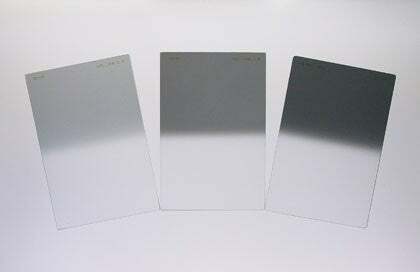 Some filter manufacturers, such as Lee filters, of the choice of hard or soft graduated ND filters. Hard ND Grads are more suited to general landscape photography and while the name might suggest they give you a hard line between the transition, that’s not the case for landscapes. Soft ND Grads are more suited to scenes where there’s not the extremity between light and dark, such as woodland and close-ups. Offering a density of 2 stops, this is a solid option for those wanting to control the exposure of the scene on a budget – you’ll just need the adapter and P-series filter holder. LEE’s ND Grads are a popular choice amongst professional landscape photographers. Offers a density of 2 stops, this should be more than adequate for a range of conditions. Alternatively, there’s LEE’s Neutral Density Grad Hard Filter Set, which includes 0.3, 0.6 and 0.9 Hard ND Grads for £150. 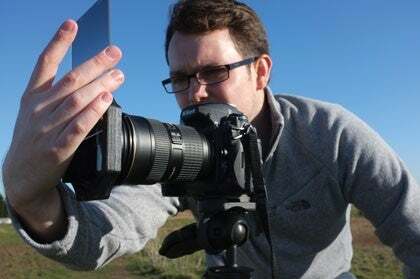 Whereas ND Grads restricted the amount of light getting to the sensor from part of the image, Neutral Density filters affect the entire image, limiting light getting to the whole of the image. But why would you want to limit the amount of light getting to the sensor, when it’s normally a case of there’s never enough light? Even if you have your shutter stopped down to f/16 or 22 so there’s minimal light hitting the sensor, you scene can still be too bright to capture any movement. By forcing the length of the exposure with an ND filter, you extend the duration the shutter is open, which allows you to introduce movement into the shot that would otherwise be static. This can completely transform the look and feel of your image, recording something the human eye can’t see. As you can imagine, images can be really striking, with static crowds turned into an abstract blur, moving clouds trailing across the sky in one single shot, while even the roughest sea can look silky and smooth. Just as with ND Grads, Neutral Density filters are available in different strengths, allowing you to extend the shutter speed as much as you want depending on the scene and the light available. If the lights relatively low – maybe you’re shooting around dusk, then either a 0.3, 0.6 and 0.9 ND filter will do the trick. For instance, if you had a shutter speed of 1/2th sec without an ND, this would transform to 4 seconds with a 3 stop 0.9 ND on the front of your lens. More than enough to record water or crowds reduced to a blur. However, if you’re shooting during the day, then these filters are going to be of minimal use – the density of these filters is not enough to affect the shutter speed dramatically enough to force it to go as slow as required. The past couple of years though have seen an explosion in the use of ultra Neutral Density filters. Almost black in appearance, these ND filters offer upwards of 10 stops in filtration, but it’s only recently that these ND filters have been used creatively – their principal application in the past has been for the documentation of industrial purposes, such as furnaces. This massive filtration allows photographers to shoot in bright sunlight, but still achieve shutter speeds slow enough to turn moving elements of the picture into a blur. For example, a 10 stop Neutral Density filter can alter a normal 1/125th sec exposure to a much slower 8 second shot. One thing to remember is that due to the higher red transmission, images can look slightly warm in some circumstances, which can be fairly tricky to correct in post-processing and is often why you see a lot of mono images with this effect used! 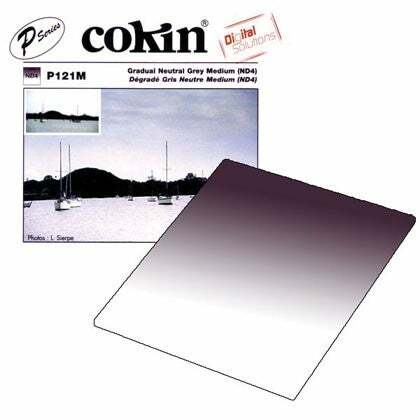 With a density of 3 stops, this Cokin filter offers enough filtration to introduce movement when the light is getting low. With an incredible 10 stop density, very slow exposures are possible in bright sunshine. Smaller thread sizes are available, with a 58mm equivalent costing £47. The LEE Big Stopper is technically not an ND filter, but it offers an impressive 10 stop reduction in shutter speed and has proved incredibly popular.